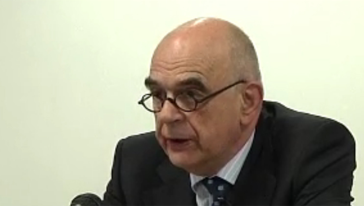 Jan Pronk is the professor Emeritus at the International Institute of Social Studies (ISS) of the Erasmus University. He has been exposed to international development issues as an academic, politician and international civil servant. Pronk was a member of parliament for the Social-Democratic Party, Dutch Minister for Development Cooperation and later the Minister of Environment. In the first half of the 1980s he worked as an international civil servant for the United Nations (UNCTAD) in Geneva. In 2004-2006 Pronk served in Khartoum as the Special Representative of the Secretary-General of the United Nations in Sudan, where he led the UN peacekeeping operation (UNMIS).